There are two main types of warranties for used cars: extended warranties, and certified pre-owned. Each type means something wildly different in terms of what you can expect from your purchase, how much you’ll pay, and what can happen over the length of time you have the car. A Certified Pre-Owned vehicle is something that a number of buyers go for, because it is manufacturer-certified as being in ideal shape, has low mileage, and the car’s history is made available to the buyer. While this may seem like the way to go in order to be secure in your purchase, ensure that your car has been tried and tested, and won’t cause you major issues after you drive it off the lot, dealers know that consumers want that extra certification and know they’ll pay big bucks for it. Dealers can charge thousands more for a car just because it has a CPO label on it when in reality you can find a non-CPO vehicle of the same quality. CPO vehicles also require your car to be taken to one of the manufacturer's dealers for repairs, which may leave you stranded if you are not near one of those locations. This may not be the best option for your lifestyle or budget, and looking for a non-CPO vehicle can be your best bet. An extended warranty is generally a third-party warranty sold by dealers, as opposed to being backed by the manufacturer of the car (though you can get manufacturer-backed extended warranties as well). These warranties could last years longer than the manufacturer’s warranty, ensuring you continuing coverage, especially if you plan to keep the car for a number of years. While a CPO warranty is included in the price of the car and an extended warranty is an added cost, you still will usually save money by purchasing a non-CPO vehicle and then adding an extended warranty. You can also customize the length of an extended warranty to fit however long you plan to have the car for, and you can choose specific items to get overage for, like your engine, transmission, brakes, etc. An extended warranty also makes sure you have coverage even if the manufacturer of the car goes out of business, which occurred a few times in the last decade. There are some limitations on an extended warranty that you should be aware of. While highly customizable, the cost of an extended warranty can get higher the more coverage you add. Two options you have when selecting an extended warranty are an inclusionary or an exclusionary warranty. An inclusionary warranty will cover named parts, such as engine or transmission, and only the named items in the warranty. 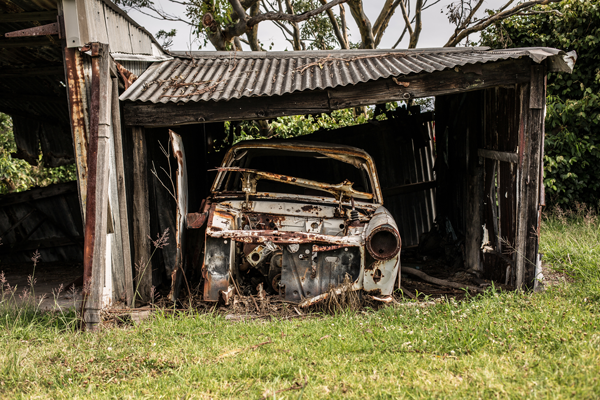 This may leave you high and dry if your car sustains damage to a part that isn’t specifically listed in your coverage These plans are usually cheaper, however, as they do cover less. An exclusionary warranty covers a broad range of items in your vehicle, such as steering, electrical, brakes, suspension, etc. This type of warranty will cost more but will be worth it in the long run so that you don’t have to pay out of pocket for a repair to your vehicle. This plan is ideal for a car commuter or someone who uses their car frequently or on long trips. An inclusionary warranty may be better suited for an infrequent driver who really just wants some basics covered. Exclusionary extended warranties also typically have lower deductibles, if they have one at all, which is also beneficial to those whose cars see a lot of use and might need repairs more frequently. Most extended warranties are transferable, which will come in handy if you decide to sell your car before the term of your warranty is up. Having remaining warranty on your vehicle can increase the value of the car when you decide to sell it. It is always best to check with your specific warranty policy if it will be transferable once you sell, and check with the dealer or third-party seller before you purchase a car in the hopes of maintaining its warranty. While a number of scams by third parties selling extended warranties have been exposed, this doesn’t mean there isn’t a reputable company out there that you can purchase one from. A number of these scams come via telephone, where consumers are led to believe that the call is coming from their vehicle’s manufacturer and are talked into purchasing an extended warranty after their initial purchase--a warranty that is likely fake and covers little to nothing at all. As with anything, proper research of a company ahead of time is crucial. You can check the reputation of a company beforehand by contacting the Better Business Bureau about any specific dealers and companies you may be purchasing from. If you are considering an extended warranty on your used car, or looking to sell your car in New Jersey, don't hesitate to fill out our form to the right or call us directly at 856-834-5558.